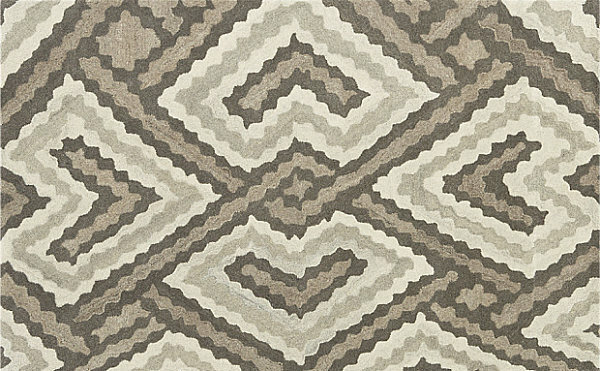 One of today’s top design trends: patterned rugs in neutral tones. 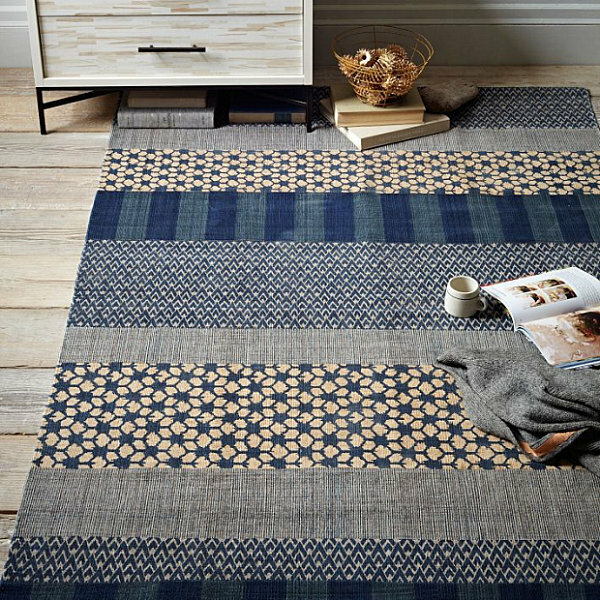 We’re drawn to the Alhambra Rug from CB2, inspired by the tile work, structures and frescoes of Granada, Spain. 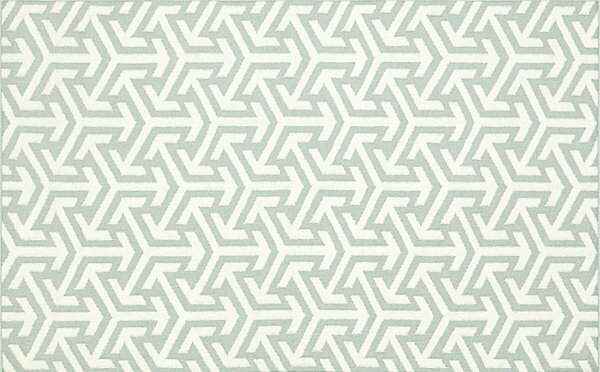 Designed by Matthew Lew, this piece features an optic geometric pattern in neutral shades. 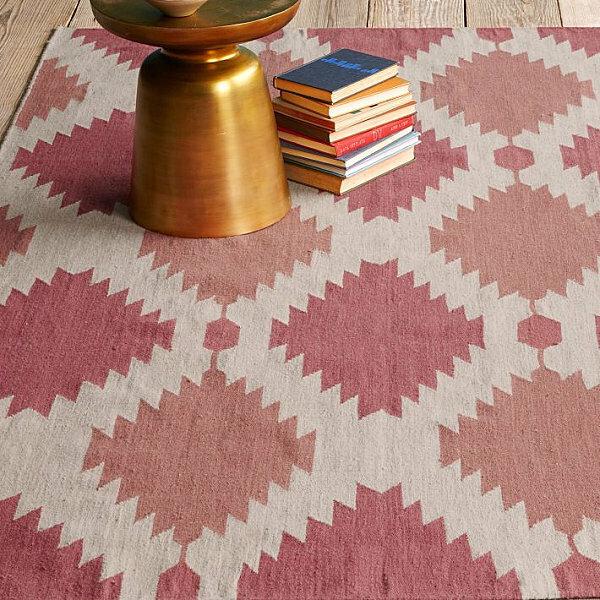 Perfect for pairing with vivid furnishings! 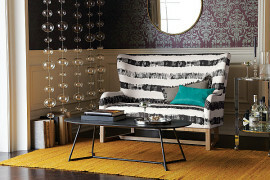 The Rochelle Sofa from Crate & Barrel boasts a citron yellow color reminiscent of vintage fabric. 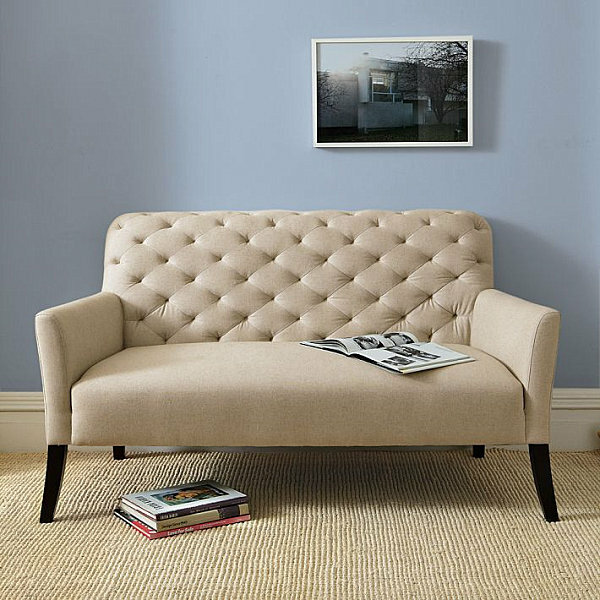 There’s definitely something timeless about this piece, especially since its shape conjures the best in Mid-Century style. 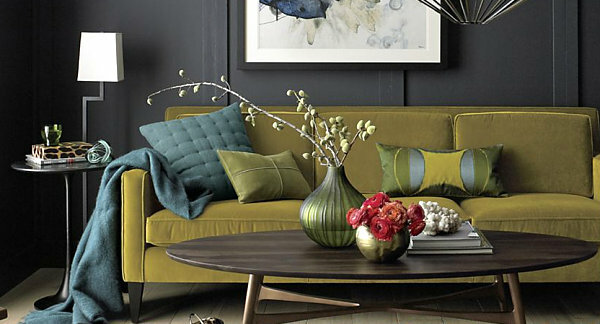 Did we mention that this sofa is upholstered in soft cotton velvet? 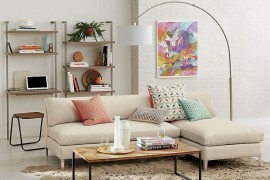 The Tillary Tufted Sofa from West Elm is the epitome of eclectic. 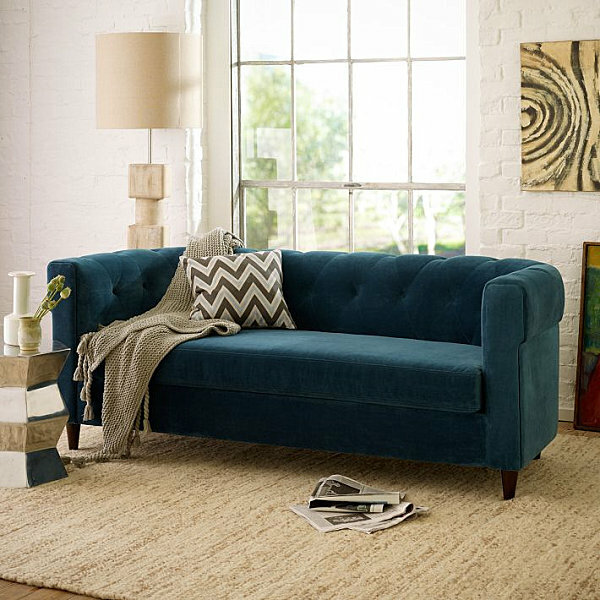 Not only does it feature traditional tufting, it showcases a modern, clean-lined armless design. How eclectic! 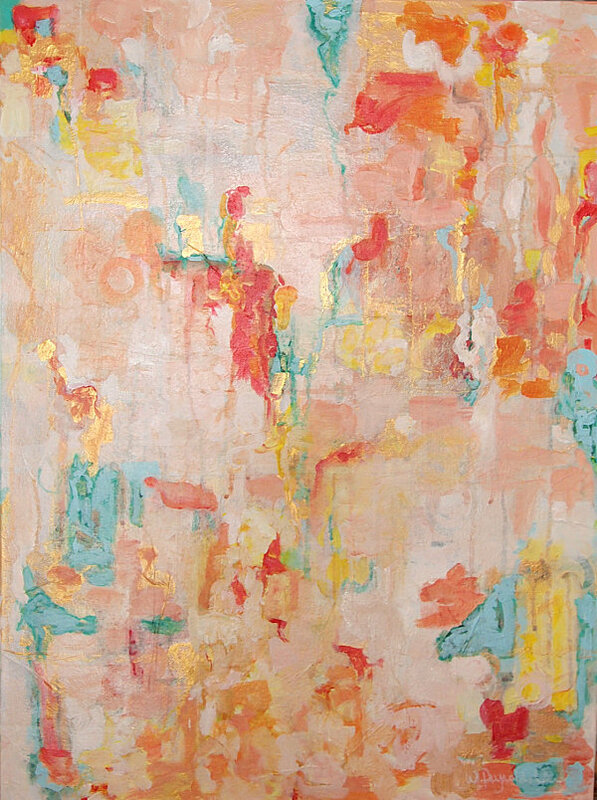 The peachy tones of Nine Months – Capri, an abstract modern painting from Whitney Reynolds Orr, are absolutely stunning. 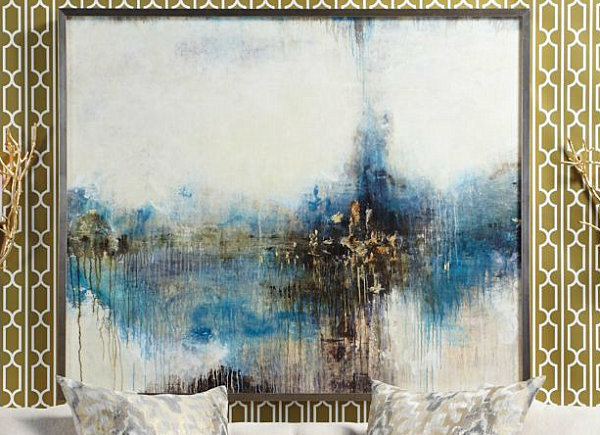 Throw in shades of blue and gold, and you have a rich mixed media painting that looks good enough to eat! 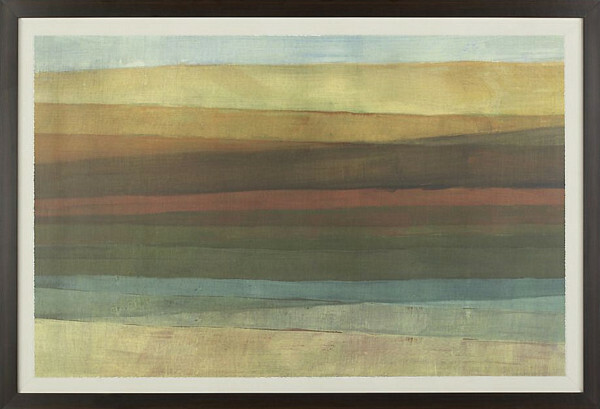 The layered feel of the piece is created with acrylic paints and Japanese paper. Elegant and delicious! 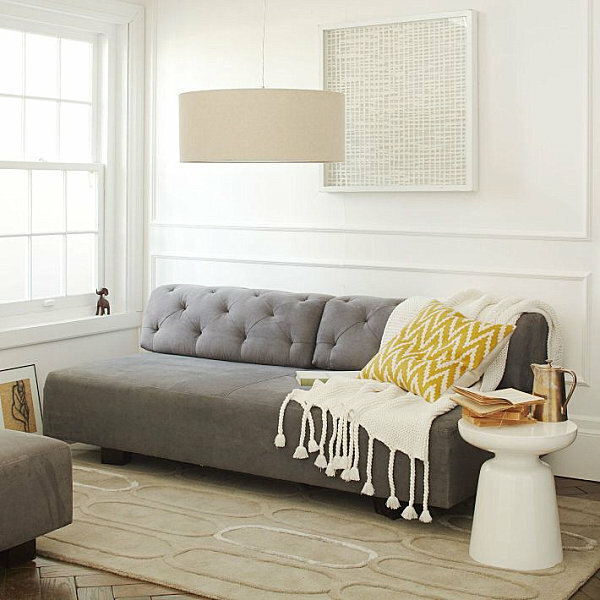 Now it’s time for the icing on the cake… We’re talking about the decorative items that put the finishing touches on your eclectic room. And anything goes in terms of style! 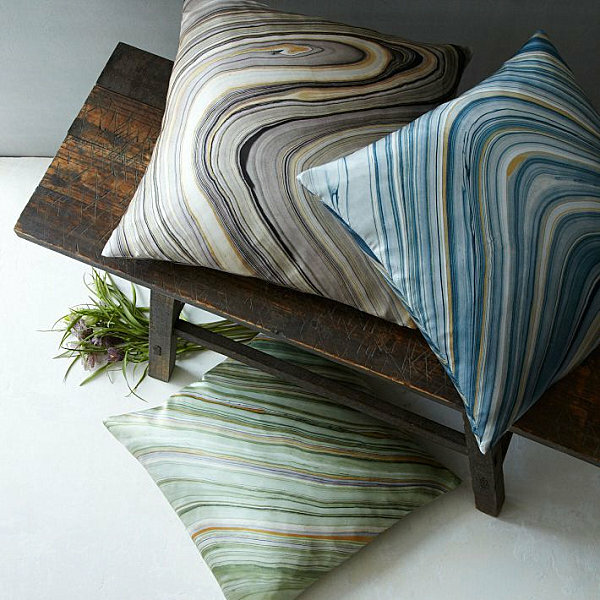 We’re crazy about these Marble Print Silk Pillow Covers from West Elm, which are screen printed on pure silk. Don’t they beautifully channel the alluring bands of minerals? 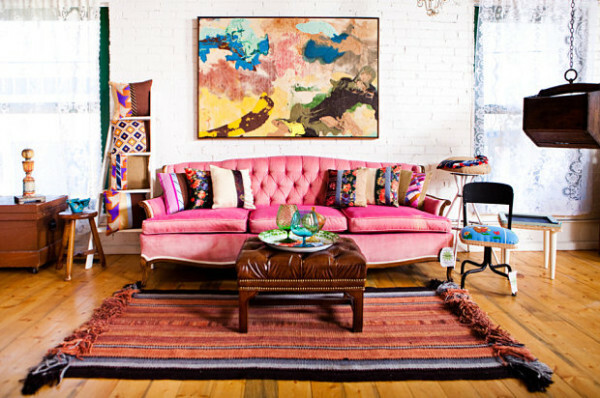 Don’t hesitate to add a vintage touch to your space with the help of colorful fabric that references the past. 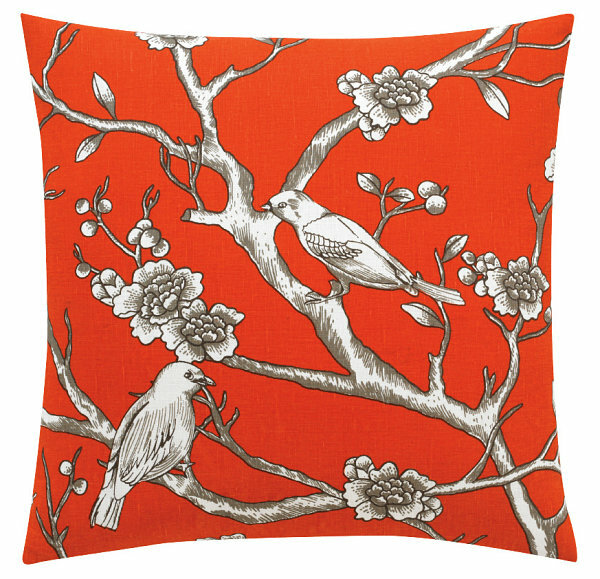 This Vintage Blossom Persimmon Pillow from Dwell Studio is a colorful update of the traditional Chinoiserie motif. 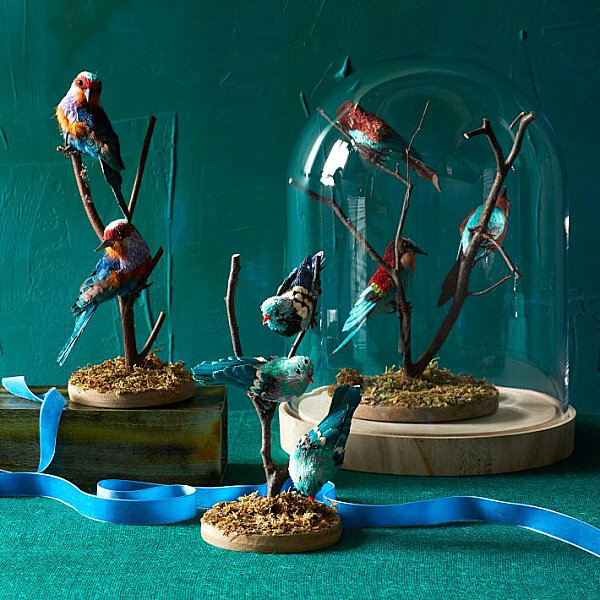 Birds, flowers and branches seamlessly blend in a bold pattern. 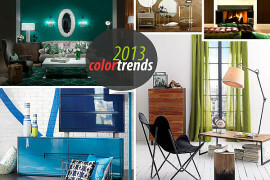 And you simply can’t ignore that radiant color! There’s no arguing that brass has made a comeback! 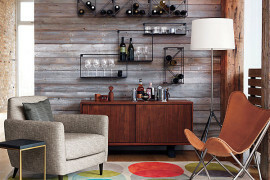 It definitely has a vintage vibe, but a new array of designs keeps it modern and relevant in today’s design world. 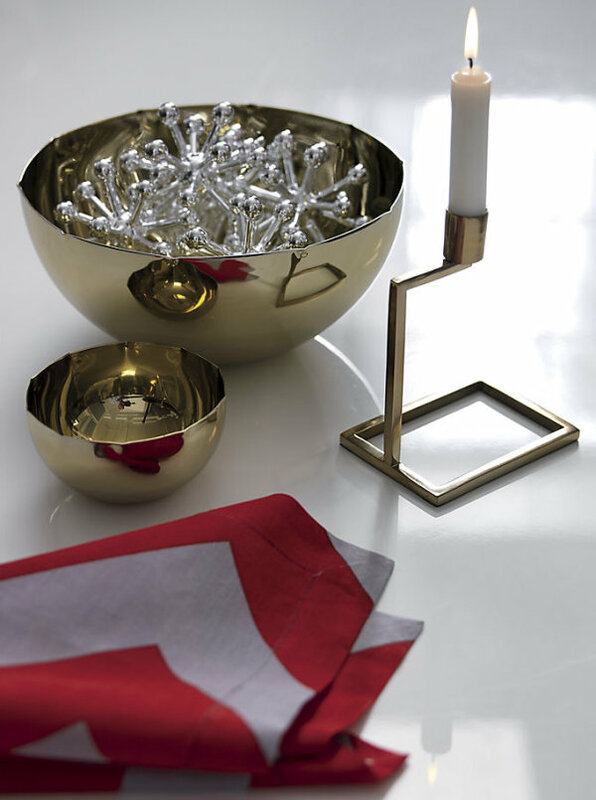 These Pinch Bowls from CB2 are crafted of brass-plated stainless steel. 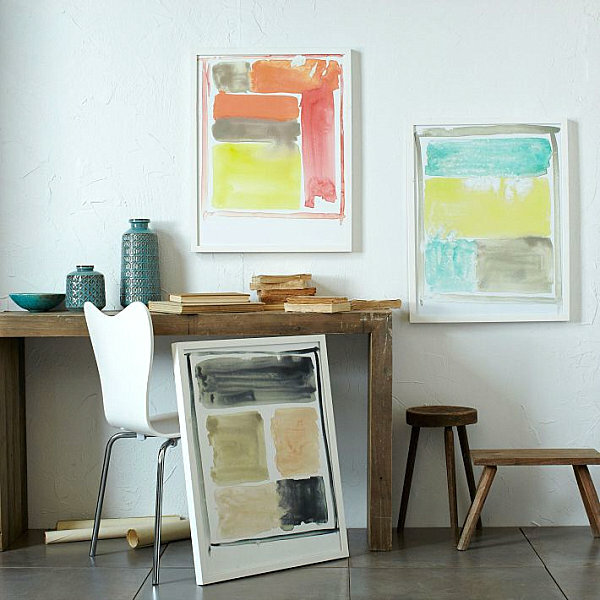 A stylish pinched edge gives them a contemporary twist. Did any of the images above catch your eye? 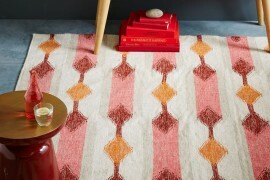 I’m definitely exploring my patterned rug options as we speak! 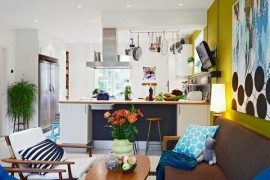 It’s not about starting from scratch–the beauty of an eclectic space is your ability to use what you have and build on it with new and vintage finds. Happy decorating!